The Lagunitas School Board meets tonight at 6:30 PM. Agenda highlights include a student presentation about hate speech, administration staffing report and a cafeteria update. Please join us in Room 20. When the sun shines, The Valley shows up! 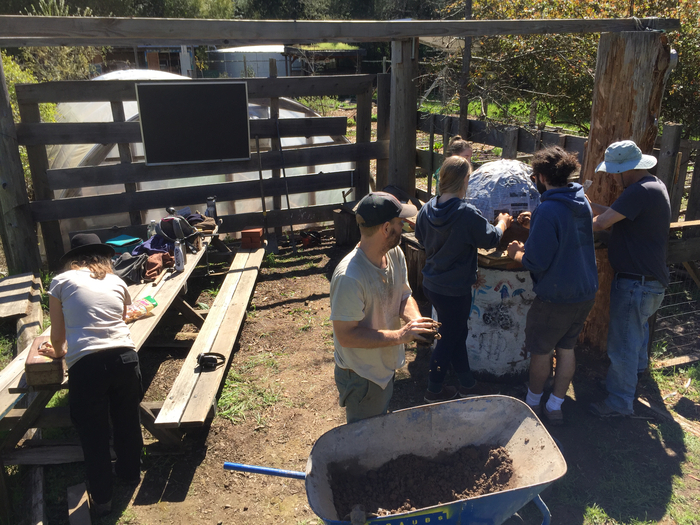 Thanks volunteers for school garden upgrades! Nice start to an 8th grade Change Project! Getting the MTB pump track up to a new level. Student driven work! Stopping off at Arti in Lagunitas for Indian food on the way home. It's give back night, so the proceeds go to support LEAP! Great food for a great cause. Screenagers film tonight at SGVCC 6:30 pm. Childcare available. 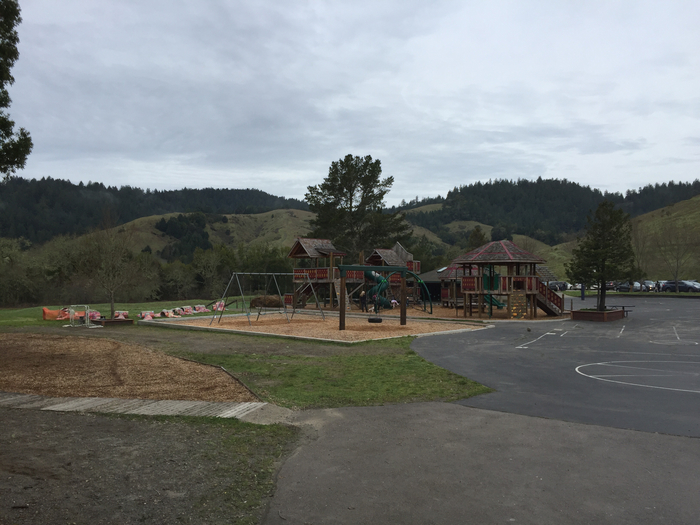 FROM THE LAGUNITAS SCHOOL DISTRICT The foot bridge between the upper and lower campuses is now OPEN. FROM THE LAGUNITAS SCHOOL DISTRICT The foot bridge between the upper and lower campuses is temporarily closed due to two fallen trees. The bridge was not damaged but the area will be off limits until the area can be made safe. Thank you. 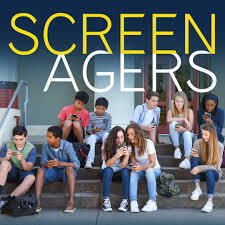 Thanks to our partnership with the San Geronimo Valley Community Center, all are welcome to attend the evening show of Screenagers on Monday, March 18 at 6:30 pm. 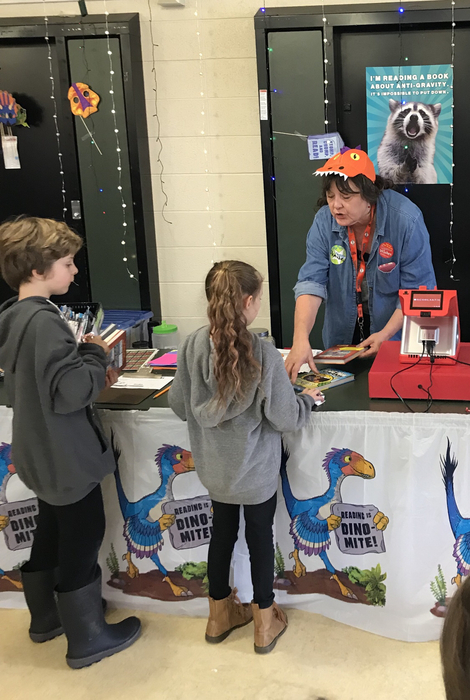 Thank you Book Fair volunteer Denise Santa Cruz-Bohman. Lots of excitement in the MPR all week and this weekend. Drop on by! 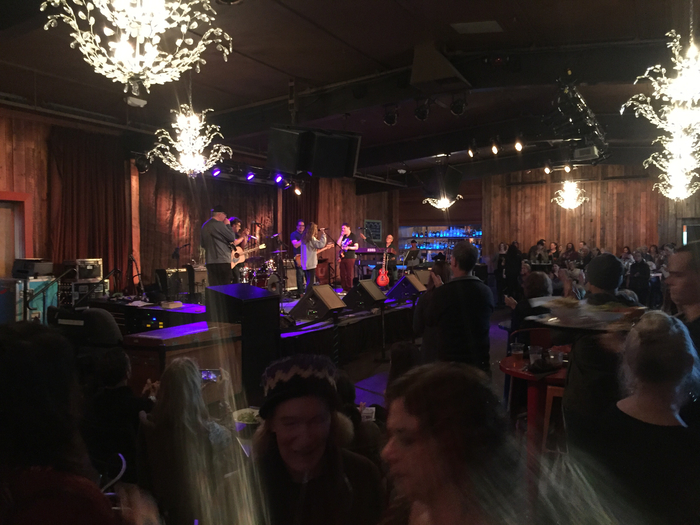 Not too late to make it to the 8th grade Equity & Activism Project fundraiser at Terrapin Crossroads! Great bands supporting a great cause. Pajama Day is tomorrow, Friday, March 1st! We are kicking off the Readathon with PJ Day! Readathon packets will go home tomorrow. From Lagunitas School District The Lagunitas School District is open today. There are several power outages in the San Geronimo Vally but power is on at school and classes will take place as usual. The National Weather Service advises that rain will continue but that the strongest part of the system has moved to our south. The Richmond San Rafael Bridge is closed. We have just received notice from the Marin County Office of Education as follows: Large chunks of concrete were reported falling form the upper deck onto the lower deck. · Traffic was stopped in both directions. Cars on the bridge were escorted off by the CHP. · While some news reports indicate that the bridge may be reopening this afternoon, there is not yet confirmation from CHP or Caltrans. This situation is expected to have a major impact on traffic throughout Marin County for the rest of the day. 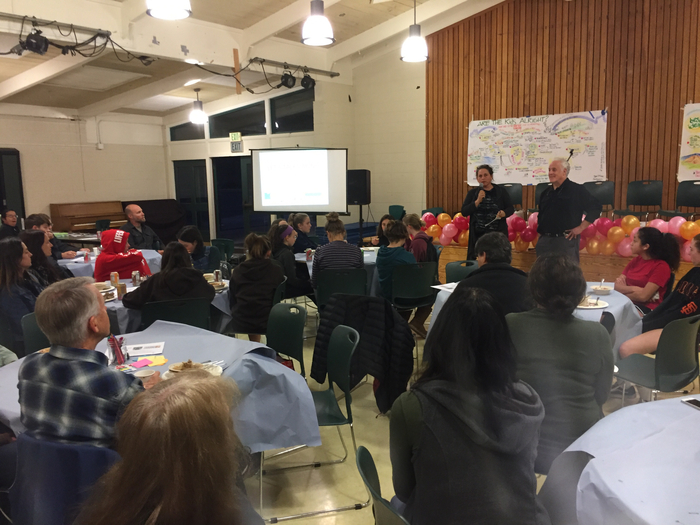 Great Community Cafe in Lagunitas to discuss health for our youth! From the Lagunitas School District: School phone lines are not in service this morning due to storm damage. Please e-mail District Secretary: lwickersham@lagunitas.org to report absences or leave messages. We expect phone service to be restored soon. Thank you. The Weather Service is predicting heavy rain for the next several hours and has issued flash flood warnings that include the whole Valley. Please drive safely and keep children away from streams and drainages. We will update the school website and app as needed. Stay safe! The Open Classroom Parent Meeting scheduled for tonight has been canceled due to weather. Thank you for supporting Lagunitas School's Montessori Students Holiday Cards sale! The 1st through 5th grade Montessori students created beautiful cards in the art room to sell during the holidays to raise money for Paradise Camp Fire relief efforts. The Lagunitas Deli, Woodacre Market and The Pump generously shared their counter space during the month of December to sell these beautiful hand made cards. Thanks to our wonderful Art Teacher Kristy Arroyo and the children’s hard work, the support of the local businesses and last but not least, the San Geronimo Valley community, we were able to raise $125.00! All funds were donated to United Way of Northern California, specifically “Camp Fire”. Thank you for giving, and Happy New Year to All! The San Geronimo Valley Community Center will be hosting a donation-based Holiday camp on Thursday & Friday, December 20 – 21, 2018. Thursday, December 20, 9 am - 5 pm (Emile Mulholland will be guiding a bike ride 10 am - 12 pm). Friday, December 21, 9 am - 5 pm The camp will be held in the Loft above the gym. Holiday camp is held when school is closed and offers parents a safe place for children to play, do art activities, eat healthy snacks and have some gym time. 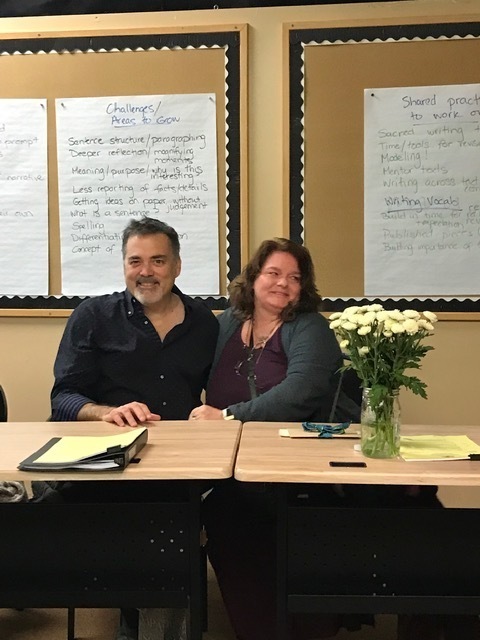 Thanks Meegan Potter-Ochs and Christoper Sabec for your years of service as Lagunitas School Trustees! It was an honor to work with you. And a warm welcome to new Trustees, James Sanders and Amos Klausner! It's going to be great! Montessori PTO meeting tonight, December 11, 2018 at 7 pm. All welcome! 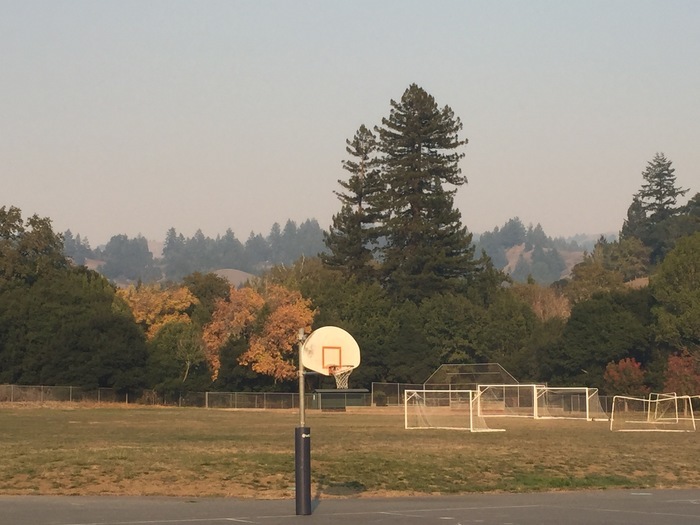 The Gym at Lagunitas School is open and staffed for clean air recreation today from 12 - 5 pm and this weekend from 12 - 7 pm. This community support is to provide an indoor space to move around or simply be away from smoke-filled air. From Superintendent John Carroll: Schools in Marin County will remain open today, Thursday, November 15. We will continue to follow guidance from the Health Department and modify activities as needed. If your child has been having a significant reaction to the poor air conditions and you choose to keep them home, please notify the office as soon as possible. Mayor Fryday will be joining us tomorrow to talk about his work as an activist mayor. This is part of the speaker series related to the 8th grade Equity and Activism Project. 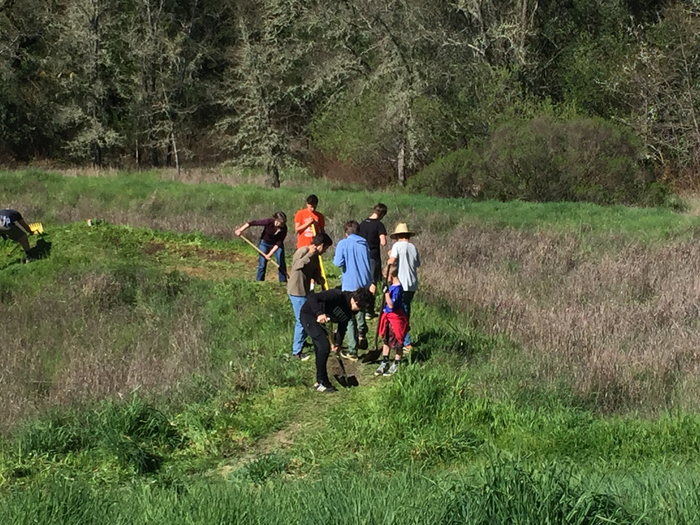 However, all three grades will attend as well as 8th graders from Bolinas Stinson and San Domenico. Air quality at school has declined rapidly this afternoon as a result of fires north of us in Glenn County. Students should stay inside and staff should leave campus as soon as practical after students are dismissed. 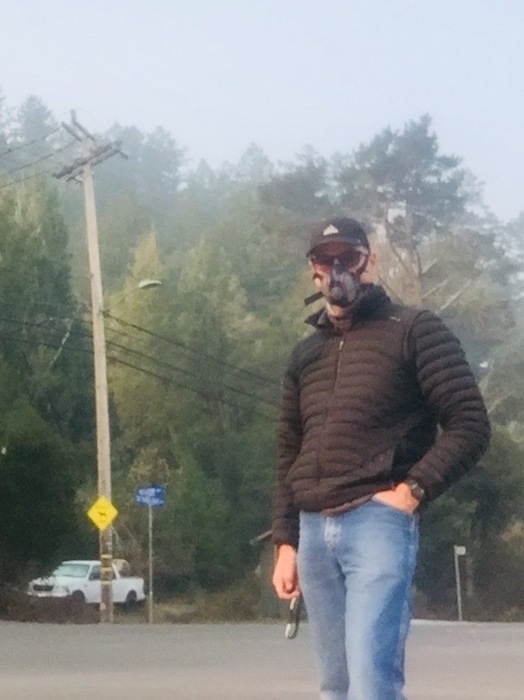 From The Lagunitas School District: There is an active yellow jacket nest on the hillside next to the upper campus parking lot- 6 feet from the curb above the handicapped parking space. Please avoid the area until further notice. Vector control has been called. 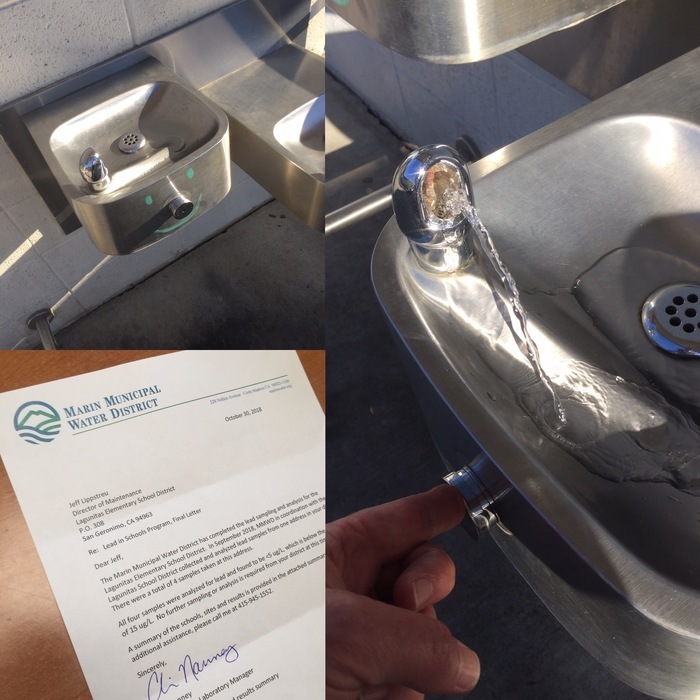 Not a surprise but always nice to get a healthy report about the lead test for the school's drinking water. MMWD tested at 4 locations and all came in at safe levels. 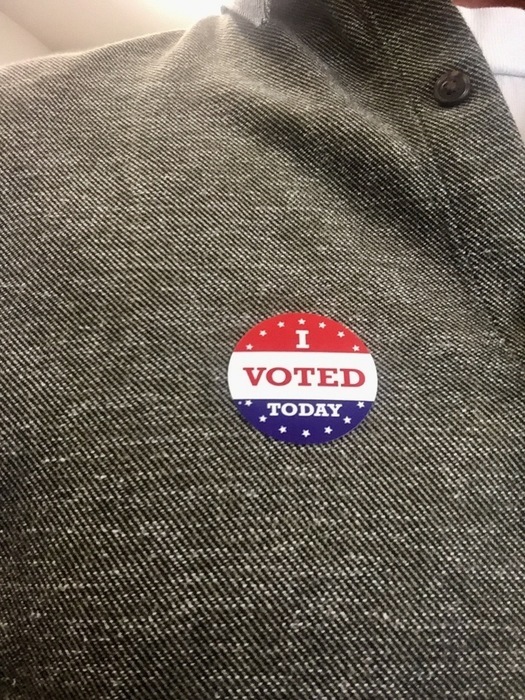 Don't let the kids down; it is their future- Get out and vote! From LEAP: PARENTS- Please remember to return the signed form that came home from school in a pledge envelope last week. We'd like to have feedback on those forms from all parents. If you have not pledged, now is the time. https://leap4education.org/parent-pledge/ If you think you are pledging, please verify this with James (james10021@gmail.com) If you prefer, come chat with a LEAP rep on Monday, Tuesday, or Wednesday before and after school stationed outside of each program location. THANK YOURSELVES- we are making progress! Come together at the Gestalt Haus tonight, Tuesday 10/23, for the next LEAP Give Back Night! A percentage of the proceeds that evening will support all three programs. The Gestalt Haus is located at 28 Bolinas Road in Fairfax. We look forward to seeing you there! 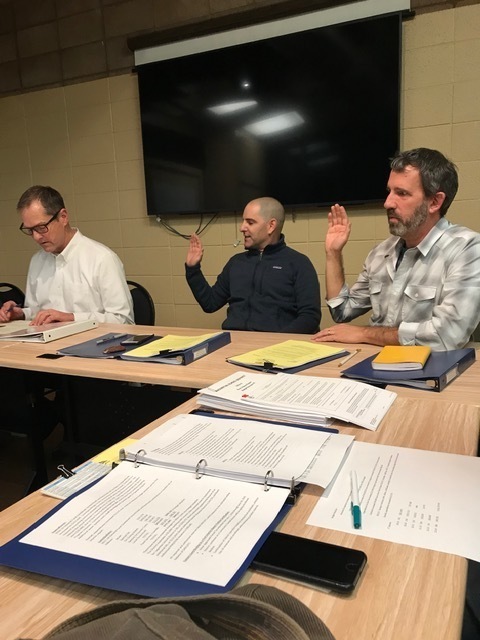 Lagunitas Board of Trustees approves the 8th grade Equity and Activism Project field trip to Civil Rights historical sites in Alabama and Georgia. Promises to be a profound learning experience for our students. Regular School Board Meeting tonight at 6:30 pm in Room 20. Board Agenda and Reports are available on school website. Staff Flu Shots will be offered as part of the Community Center Health Faire this Thursday from 2:00-5:00. Thanks to the Center for offering this convenient service! The Open Classroom Parent Meeting is scheduled for October 17 at 6:30 PM. The Lagunitas School District has launched its mobile app! 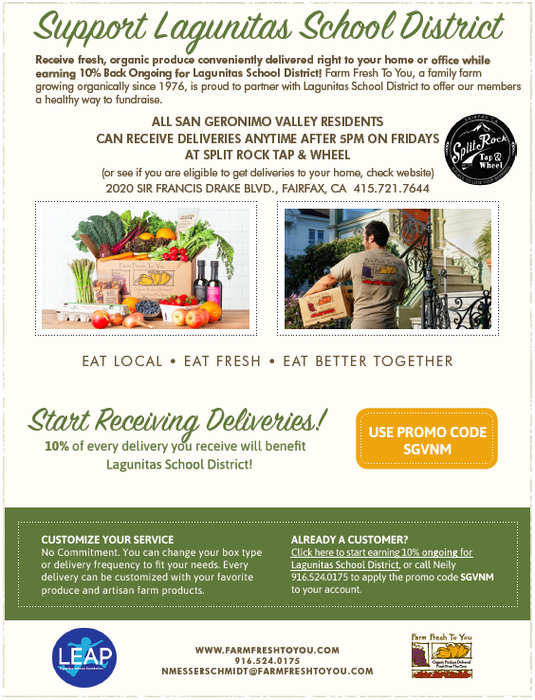 Please download the Lagunitas School District Mobile App. It is available FREE in the App Store on your iPhone or Android device. 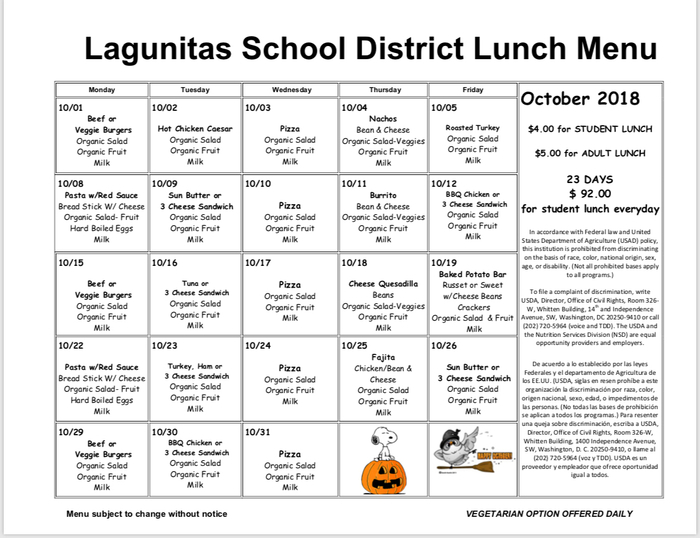 The Lagunitas App will allow you to get the information you need in the quickest, easiest way possible whether you are looking for program specific events, school lunch menus, news or other school information. 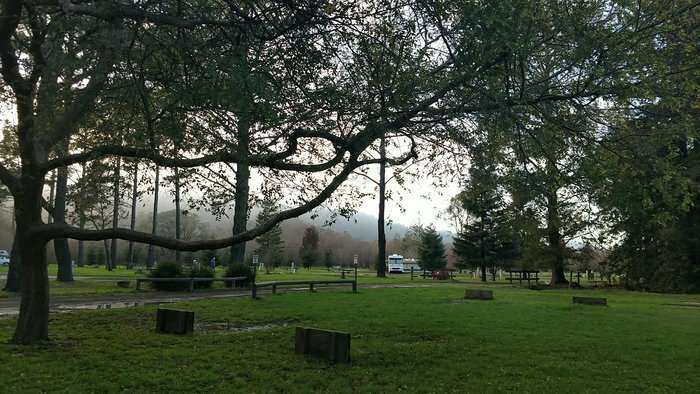 Montessori family camping trip begins this Friday evening at the Olema Campground. 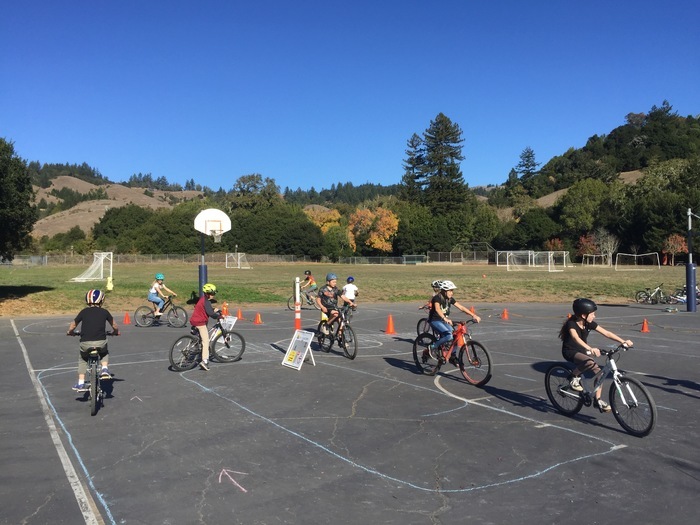 The LEAP Foundation, supporting the Lagunitas School District will meet on Tuesday at 7-8:30 in Room 20, in the building to the left of the San Geronimo Valley Community Center. Peace Day We are celebrating the International Day of Peace on Monday. It's also referred to as World Peace Day. This day has been celebrated since 1982 when the United Nations passed a resolution and sanctioned the holiday each year to strengthen the ideals of peace, both globally and among individuals.